Australian film Babadook is a story about a single mother and his son with a difficult relationship with each other and people in the outside world. The son is rude and violent, the mother is depressed and borderline abusive. Little do people know that the reason for their hardship is a mysterious book called ‘Babadook’ that seems to be the sinister source of a spiritual thing that haunts them. The film is very difficult to watch, not just because it’s terrifying as a horror film but also due to the disturbing relationship of mother and child. Both are very unsympathetic characters that don’t invite us to like them at all. The film is hyped up after great reception at the festival circuit but I find it doesn’t quite meet my expectations. It tries a bit too hard to be clever and the conclusion is unsatisfactory. 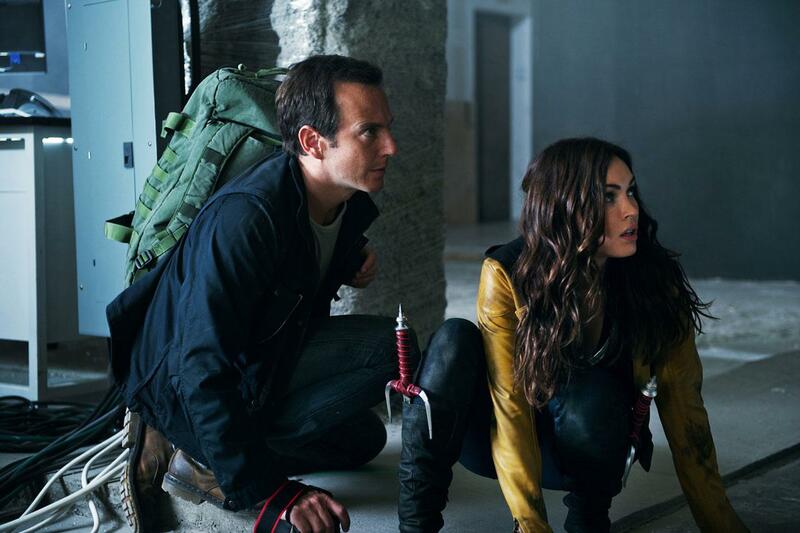 I just put the picture here because both Will Arnett and Megan Fox are hot and I like seeing them together. Other than that, you’re not missing much if you don’t like giant turtles who talk like obnoxious teenagers. Finally, strictly for dance movie fans only, I am happy to report that the fifth installment in the franchise, Step Up: All In, is a definite step up from its two predecessors. Ryan Guzman has finally learned to act and he does it much better than he did in Step Up: Revolution (4th movie, with the flash mob thing, set in Miami – just in case you forgot). Also, it’s quite neat to see two main characters from previous Step Up movies having a tangible interaction outside the dance floor where their characters take center stage. Briana Evigan is one of the more likable Step Up leads so it’s great to see her again. People who don’t like dance movies, though, will not enjoy this. Here’s my public response: thank you for saying that. We are kind of awesome when it comes to foreign films. But when you get movies like Guardians Of The Galaxy, Chef and Lucy a lot earlier than we do, you have absolutely no right to complain. Which movie will you be watching this weekend?